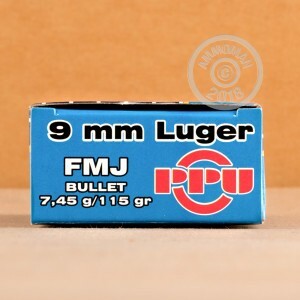 This 9mm Luger ammunition from Prvi Partizan makes an excellent range staple. It uses a standard pressure load that works well in both full-size and compact pistols and delivers good accuracy and mild recoil. Each cartridge in this box of 50 fires a 115 grain full metal jacket bullet. Prvi Partizan (PPU) ammunition is manufactured in Uzice, Serbia using non-corrosive Boxer primers and brass cases. It has a great reputation for delivering quality and reliability at a reasonable price. 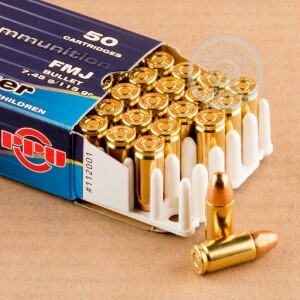 Buy up all your favorite brands of ammunition at AmmoMan.com. Earn great volume savings on each order over $99 with our free shipping promotion! Shot many hundreds of rounds. No issues whatever.